I must say I've been thinking quite seriously of getting a pair of binoviewers for some time now, peoples reports of their 3D image effect is very appealing to me. However, I have a slight squint in my right eye so my eyes don't see in stereo, I always favour one eye at a time, usually my left, which presumably means I'm seeing in mono. Does this mean I won't get any benefit from using binoviewers I wonder? There doesn't seem much point investing in a pair if I'm only going to be mostly using one eye. Does anyone else have this condition who uses binoviewers, and does it make a difference? To be honest I don't know the answer to your specific question, but I would strongly advise you to try out a pair first, if that is practicable for you..
Can you use binoculars successfully? If so, I think there is a good chance you could use binoviewers, it's amazing how the brain can compensate to some degree for faults. My right eye is my "natural" viewing eye, but in the last couple of years I've noticed that my left is more acute (can see fainter objects better), and definitely sharper than my right. I've been able to gradually train myself to use my left eye for Cyclops viewing as the default eye. With binoviewing, I definitely find on many (not all) objects that two eyes are better than one, and the "good" eye seems to pull up the "bad" eye, not the other way around. I hope that is of some help Geoff, but I do think that "try before you buy" is important before you invest your cash..
3D vision depends on parallax difference between the images the eyes take in. Astronomical objects, even the nearby Moon, have a minute parallax. Way too small for the eyes to make use of. Anyway, a binoviewer just splits one image into two identical ones. Both eyes view the same scene from the same angle and the binoviewer imparts no 3D information to the observer. If any 3D perception occurs, it does so in the imagination of the beholder. Now, if you have a set of eyepieces where one has a group of small prisms in the light path that shift parts of the image, you get a kind of artificial 3D effect in your binoviewer. It's a real effect, but not real 3D and really no more than a gimmick. Anyway, I imagine that with your lack of stereo perception even artificial 3D is going to be of no use. Finally, you can simulate the 3D effect of a binoviewer (one that uses normal eyepieces) by means of this naked eye method: look up at the night sky with both eyes open, cover one, look again with both. See any difference in 3D? I know that for others these devices are really enjoyable so I think personal preference plays a big part in this. As @F15Rules asks above, do you get on well with binoculars? That would be the easiest and cheapest test of binoviewer usefulness to you. That being said, I would think binoviewers would be useful even for you when viewing the moon at fuller phases. I find that having both eyes seeing the same brightness intensity results in a much more comfortable view. So much so, I can easily make out details on the face of the full moon that are completely washed out due to overwhelming glare in monoviewing mode. The only explanation I can think of is that when one eye sees an object illuminated by the noon-day sun and the other sees complete blackness, the brain has a hard time integrating these vastly differing views and partially gives up. A friend has just this month been diagnosed as having a lack of alignment in her eyes, and has never really been able to see the 3D effect naturally - so 3D images (whether done with red-cyan anaglyph viewer or with a 'Viewmaster" type viewer) have never worked for her. As I said, she has finally got a diagnosis - and this week was given an anaglyph image to look at using a correcting prism and she finally saw the full 3D effect. At one point, one of the people she saw said "Because of your age, and because you've never had 3D vision, your brain is probably not going to be up to seeing the effect", so she was delighted when it worked for her. Thanks for all your suggestions chaps! As advised I had a good look through my binoculars today and am pleased to report that I'm sure I was seeing with both eyes, which presumably means binoviewing is going to work for me. Now comes the problem, as far as I can find, no astro suppliers in Australia stock binoviewers except one in Sydney and they're out of stock. So it looks like a trial run before buying is out of the question. 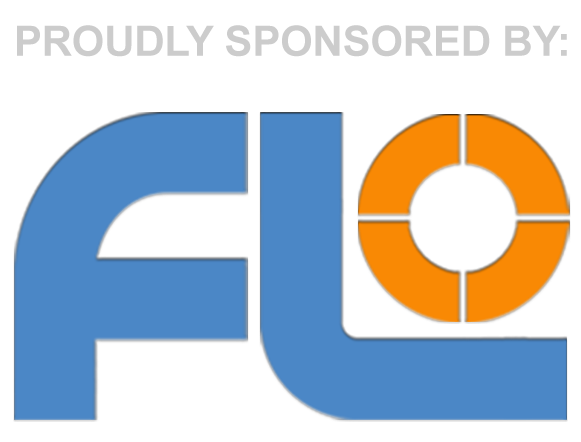 I'm quite prepared to order a pair from FLO, they have the special offer on the OVL product at the moment. Will give it a bit more thought first. Ali-Express should be able to deliver to Oz if you want a set of cheap binoveiwers to get you started. 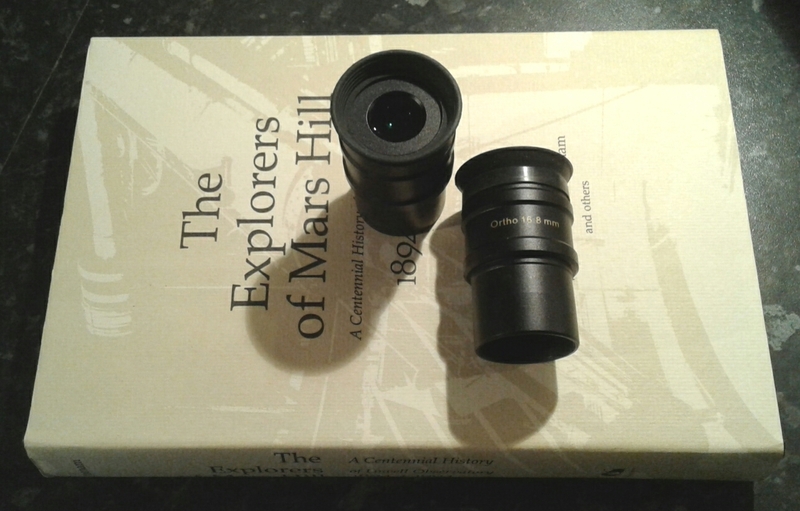 There is a sale on at the moment, so I ordered a set which are very similar, or the same as the BST Binoviewer. I don't expect these to be the best kit available, but the package should light up the views of the moon on our little 76x700 Newtonian travel scope, and on Jupiter through the 200p Dob. A quick update on the Binoviewer. They arrived with the expected 20% import duty, well packaged in a cardboard box - no bag or aluminium case was advertised, so all good so far. The Skywatcher 200p dob reaches focus with the 1.85 barlow only. The 76mm x 700 newtonian needs the 1.85x and a skywatcher 2x barlow endpiece to extend the focal length. Magnification options are going to be more restrictive than I thought. Advice for gaining focus without a massive barlow magnification would be appreciated. I had hoped to have nice wide 23mm views. But I am stuck with a single magnification for each scope - 100x on the 200p / and over 100x on the cheap 3-inch Newt. They are very comfortable and relaxing to use. They are good quality kit, similar to the BST / OVL version. 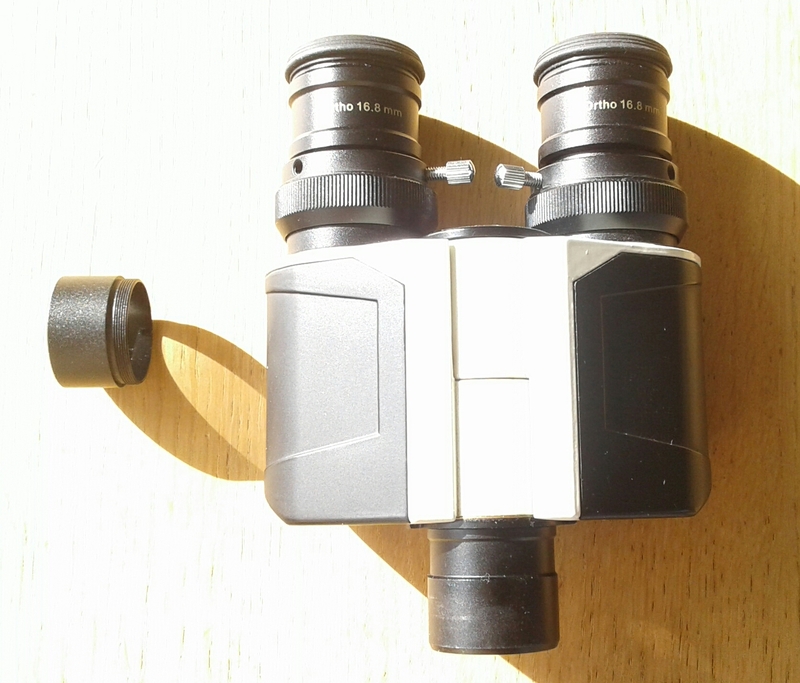 With lots of independent focus on each eyepiece holder - about 12mm adjustment. So you can lock the scope focus and use the 2x eyepiece adjusters to fine tune if required. Needs the additional 1.85x Barlow for most Newtonian type scopes to reach focus. They add weight - I need to tighten up the focus tube tensioner screw to stop it slipping down. I get on fine with binoculars but just have not taken to binoviewers. The ones I've tried work OK but I find that I prefer cyclops viewing with scopes. Advice for gaining focus without a massive barlow magnification would be appreciated. I use a Meade 140 2x barlow element with a 0.5x focal reducer spaced with 45mm of 1.25" spacer tubes to make a home brewed OCS. It works out to 1.0x magnification, but it has severe field curvature, so pick your poison. I get 3.0x magnification with the Meade 140 2x barlow element alone. However, it is sharp across the field. Is your Skywatcher barlow a "shorty' type? That might account for the issues you're seeing. The Meade is a "mid-length" type. I wish my 80s/90s era long (6") barlows had removeable elements to try them. Thank you, Reeny, for sharing your impressions. New prospective binoviewer buyers will benefit from them. Is your Skywatcher barlow a "shorty' type? That might account for the issues you're seeing. Yes - I think they were called shorties - it was the version with the camera threads on the end. As a 2x barlow, it was so bad that I cut it up when I needed parts to make adaptor bits & bobs, and was left with the removable end piece. The revelation 2x barlow has never let me down. My efforts above were in daylight focusing on distant trees. I had the binoviewer first light tonight on the crescent moon. And wow, it was worth the effort. With the supplied 1.85x barlow I could get focus, but there was a fringe halo of rainbow colours trying to come through on the edge of the moon = the set-up was difficult to focus, and never really sharp enough. Time to roll out the Revelation 3-element 2x Barlow. This gave a sharp focus, no edge colours, no shimmer from the atmosphere, and a massive magnification. It had the wow factor, so job done. When I tried the barlow and 16mm Maxvision 68-degree without the bino's - I got lots of shimmer. My guess is that the brain will cancel out the wobble due to atmospheric conditions when using the bino's. Ali express have 0.5 focal reducers for £4.69p with the sellers discount, so it would be rude not to buy one. It should be here in 4-weeks time. It seems like quite a lot of glass. With binoculars, you have a separate light path, but with binoviewers, you are splitting the single light path. Out of curiosity, is there a noticeable reduction in brightness? You're halving the brightness so it is like dividing your aperture by 1.4, so with your 200p it would be like using a 140mm scope. On planets it doesn't matter but on DSOs I've always thought a single eyepiece gives a better view. I find using binoculars easier than a telescope, I get eye ache trying to keep one eye closed all the time. But, I'll invest in a good eye patch instead I think. Most of the time I keep both eyes open even when viewing through a single eyepiece Ben, or I use a blackout hood or blanket to block out stray light. It's much more relaxing that way, and personally I find it more comfortable and less distracting than an eye patch. I used some spare flocking on the left half of some old safety glasses. It's a lot easier to take on and off than a patch and more comfortable. Perhaps a more expensive patch would perform better than the £1 eBay special though. I've found Kson/Ascention Super Abbe Orthoscopics will give even the best high end eyepieces a thrashing when used in a binoviewer, so there's no need to double up on expensive brands and designs. TMB Super Monocentrics are some of the best lunar and planetary eyepieces I've ever owned, but the Super Abbe's are noticeably better when used in my cheap revelation binoviewer. The Super Abbe's usually cost between £35 to £25 new! Skywatcher 2X Delux barlow is also optically excellent and great even when used in a high end apochromat. Other great binoviewer eyepieces not costing the earth are the old Celestron 5 element Ultimas, Orion Ultrascopics, Parks Gold and Antares Elite. Takahashi LE's are great too but the price goes up because of the name.